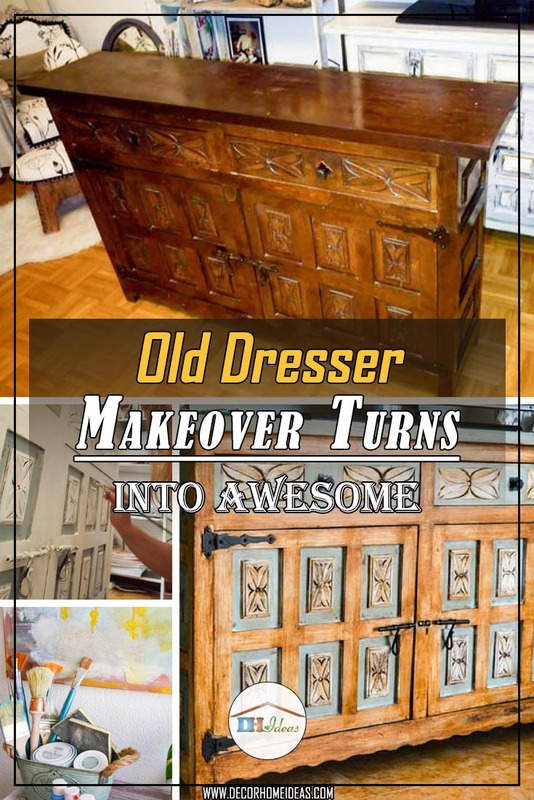 I finally found some muse (and free time) to transform an outdated dresser I had purchased at the flea market into an outstanding piece of furniture. Even though my husband wasn’t that positive about the result, I was brave enough to work on it thanks to the fact that my granddad used to be a professional furniture renewer. He was a true craftsman who put his heart in everything he was doing. So that’s him who gave me a solid understanding of what made a good piece of furniture and how to take care of it. The first thing you have to do is to clean the surface from dust and stains. Next step is to apply the other color only in certain places. 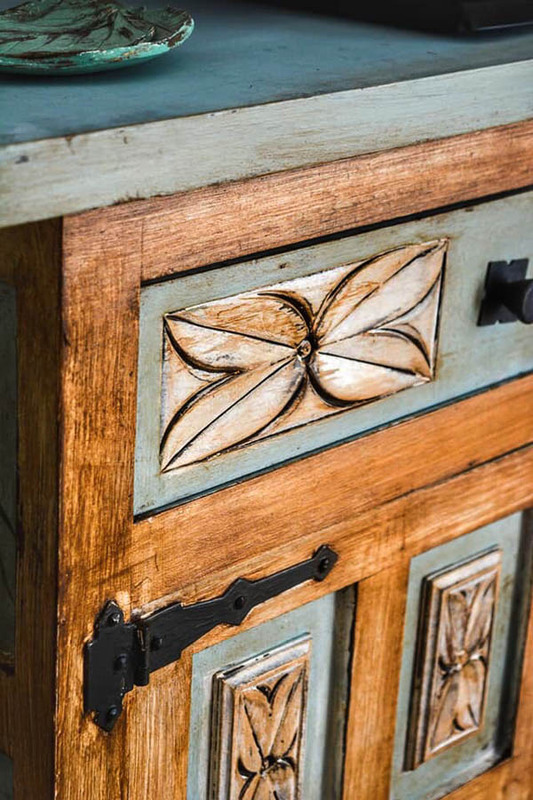 For my dresser, I’ve chosen the blue-green paint in order to give a vintage vibe to the new piece of furniture. 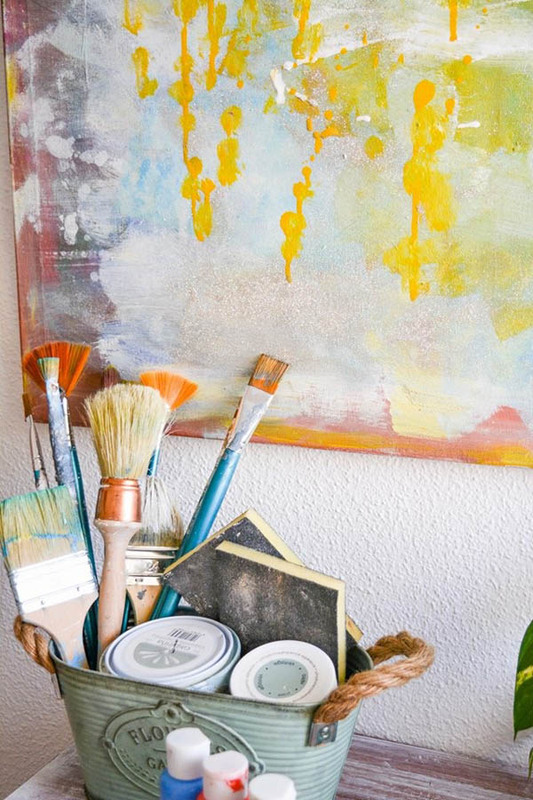 Feel free to mix and match the colors that you like most to create an entirely different look. The point is to have fun and make your furniture unique, right? After applying the paint, wait until it dries out, preferably for 24 hours. Afterward, you should apply the dark wax to the entire chest to get this effect. Move the brush in all directions, making sure that you get the wax into the atom of the wood as you go. Keep working into the wax while it is still wet. Use an old fabric to remove the overload wax. Leave overnight and glaze the wax with a fabric the next day to achieve a high shine. And finally, I highly recommend to sand down the chapels and the wood carving with a Fine (150-180) sandpaper. 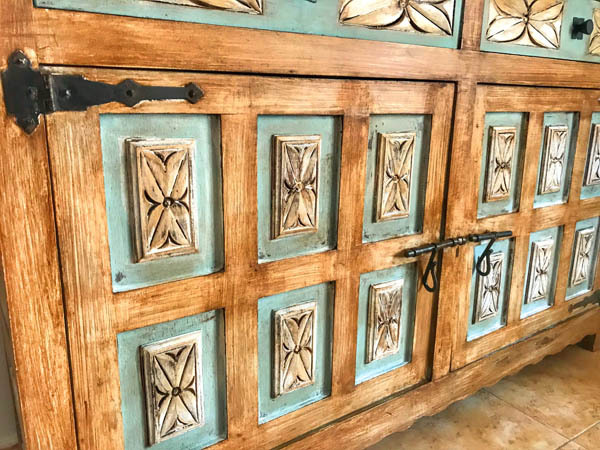 The interior of the dresser is also painted with 2 shots of chalk paint (to create a chalky appearance) and a colorless wax on top. 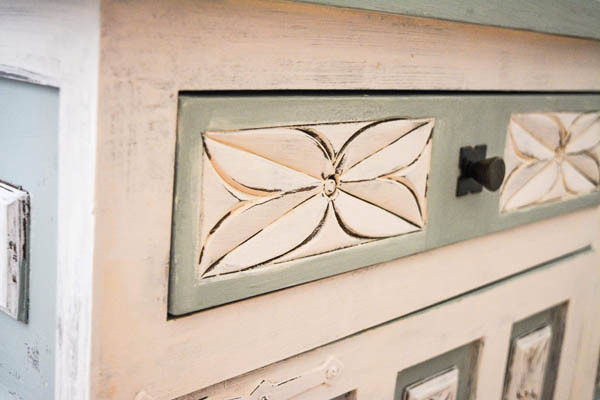 For those of you who are not that well informed, the wax usage is required when painting with chalk paint to seal the color and keep water and moisture from getting in the finish. 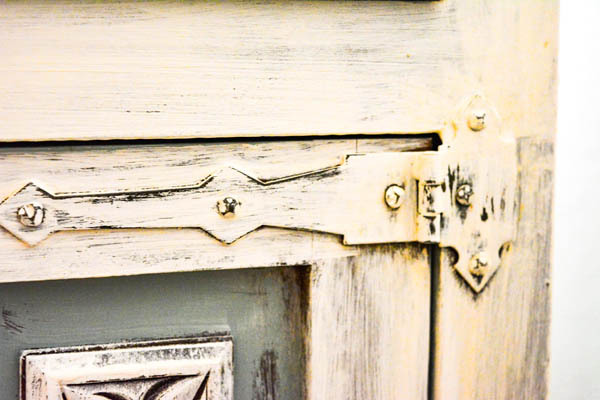 The chalk paint lacks a sealer itself. Before applying the wax, make sure the paint is completely dry. Also, you have to use a separate brush for applying wax. Various types of brushes specific to the wax application are available in the stores. They usually have a slightly rounded tip and are a bit heavier in the handle. These brushes are fairly pricier, but you can use them several times to apply wax. Just keep in mind that once you’ve used a brush for wax, you cannot use it for painting. The chalk paints of Annie Sloan are the ones I would suggest you buy. 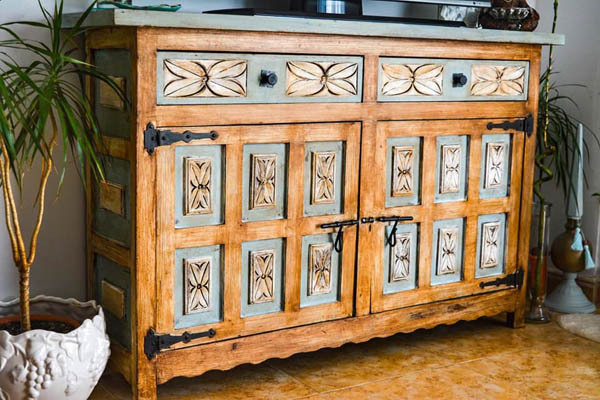 And voila – you have a brand new stunning piece of furniture at home! Mine is positioned in the living room as we are using it as a TV stand. 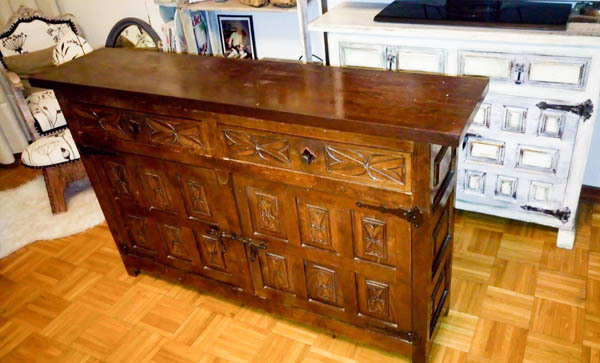 However, you can freely use it as a makeup vanity in the bedroom, or as a cabinet in the entrance hall. It is totally up to you! 😉 Enjoy!